Optimized for mobile mapping and airborne applications, with different accuracy options available. IGI TERRAcontrol is a GNSS/IMU navigation system, which can be used for the determination of position and attitude of a sensor or multiple sensors. 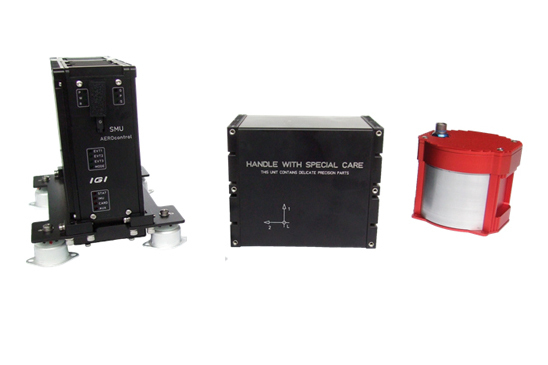 The TERRAcontrol system consists of an Inertial Measurement Unit based on fibre-optic gyros (FOG - IMU-IIf) or micro-electro-mechanical gyros (MEMS - IMU-m) and a Sensor Management Unit (SMU) with integrated high end GNSS receiver. All IMU's are export free! Benefits of TERRAcontrol, among others, encompass the delivery of high-accuracy results and the direct georeferencing of sensor data.